We are one of the prominent Manufacturers, Exporters and Wholesale suppliers of Sodium Acetate Trihydrate IP BP. 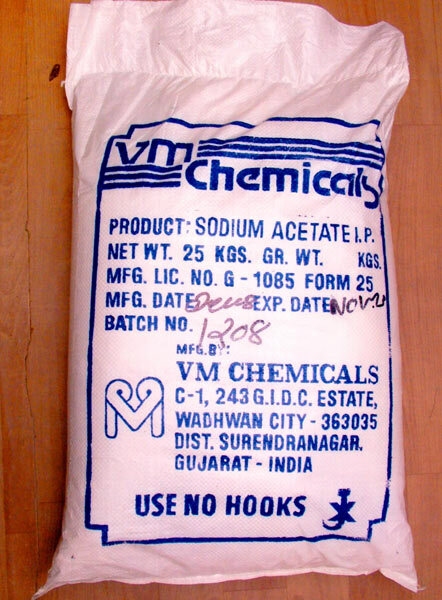 The Excellent quality Sodium Acetate Trihydrate IP BP, offered by us, is made as per set industrial standards. We are offering Sodium Acetate Trihydrate IP BP crystalline powder that is used in IV fluid. Customers can avail Sodium Acetate Trihydrate IP BP in excellent packing material.